Kitchen and Frederick Richard Bagnol Maillaud exudes terroir lungs and wandering imagination invites a journey into the world of flavors and couleurs.Installé since 1998 in the center of Mazan, and now out of the village on the road from Carpentras to Sault, these leaders are genuine lovers vrai.A near the restaurant, gardener's paradise: a garden of 800 m² covered by half a greenhouse where the majority grows herbs and vegetables used to taste garnish with plates. 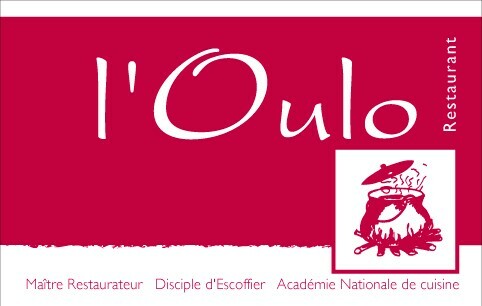 The title of Maitre Restaurateur has been renewed, it certifies you as a locally developed from raw quality products, flavors, colors and scents of Provence await kitchen. In an open environment where architecture plays harmoniously with the natural materials, the restaurant The Oulo recalls that the pleasures of the table should be as the eyes, nose and taste buds.